Gianluca Palmieri | Real Drum Track Now! Born and raised in Naples, Italy, Gianluca started playing professionally at age 16 and became one of the most in-demand drummers in the Italian music scene…and now in the U.S.! Artists: Maragold, Greg Howe, David Garfield, Stu Hamm, Jennifer Batten, Shayna Steele, Reggie Hamilton, Bjorkestra, Jimmy Earl, Airto Moreira, Soils Strings Quartet, Luis Conte, Lenny Castro and many others. Notable: Gianluca graduated Musicians Institute with an Associate Arts Degree and received the “Outstanding Player Achievement Award 2007” and the prestigious Carlos Vega Memorial Scholarship. Endorsements: Yamaha Drums, Evans Drumheads, Vic Firth Drumsticks & Paiste Cymbals. 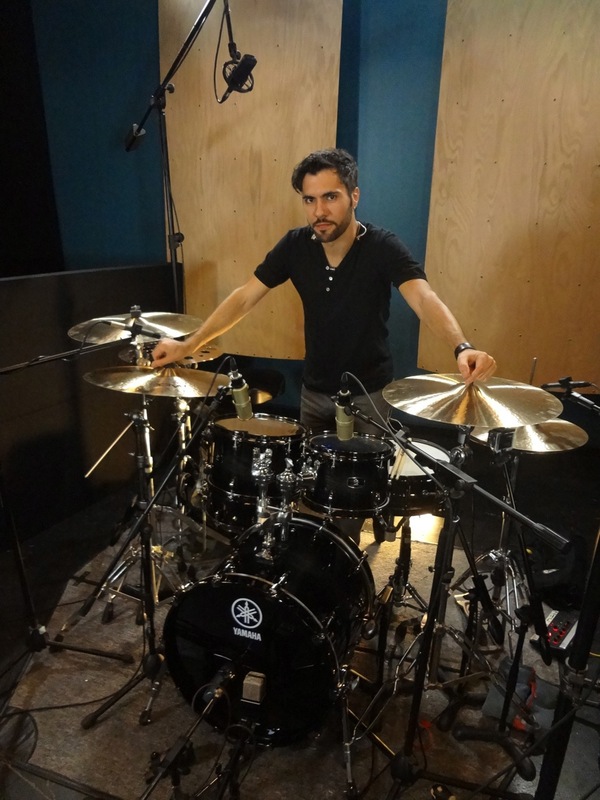 Pingback: Gianluca Palmieri Featured on Vic Firth #VF15 | Real Drum Track Now!